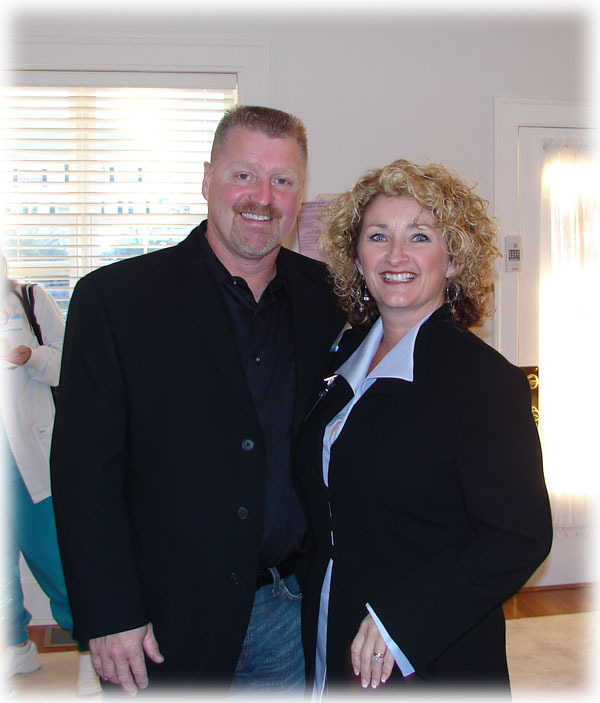 News for Angels On Duty, Inc.
Sharon Vermilye, owner of Angels On Duty is named 2013 Ambassador of the Year! Congratulations, Sharon! April 1, 2013... TEN YEARS IN BUSINESS! We have enjoyed serving the community for these past ten years, and look forward to many, many, many more. 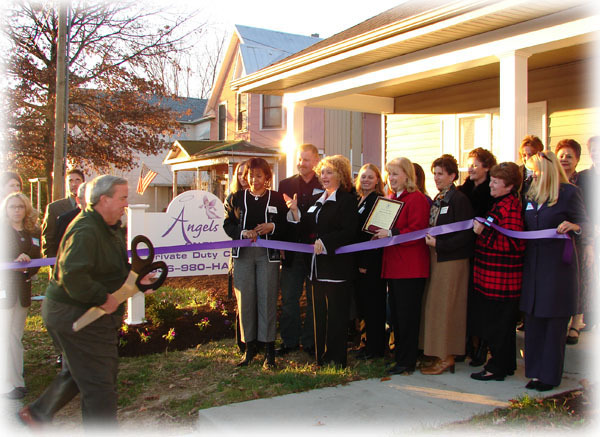 Angels On Duty, Inc. celebrated an open house November 17th with a ribbon cutting ceremony. Mayor Morrow’s proclamation was greatly appreciated. In attendance were representatives from the City of O’Fallon, the Chamber of Commerce and many friends and family. 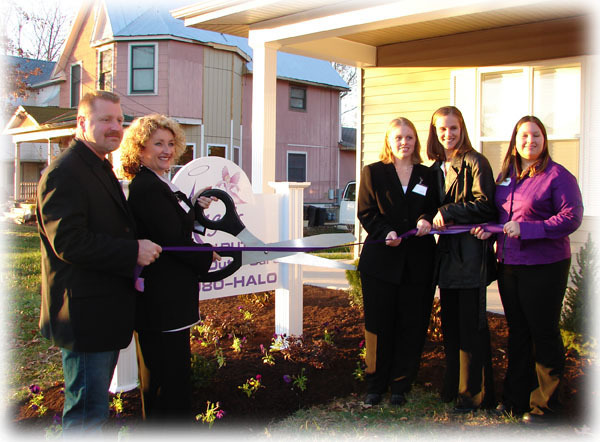 The Ribbon cutting ceremony was a great success. Pictured here are: Denny & Sharon Vermilye with office staff: Julie Vermilye, Jessica Bruns and Lacey Heil. Sharon and her long time friend and husband Denny. The new location would not be possible without Denny’s dedication to hard-work and craftsmanship. This old house was built in 1924, what was once a nice little home, is now a heavenly home for the Angels.